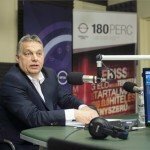 Berlin, September 3 (MTI) – Hungarian Prime Minister Viktor Orban warned Europe that the current migrant crisis may spark an “explosion” and defended Hungary’s decision to build a fence along its southern border with Serbia, in a commentary published by Frankfurter Allgemeine Zeitung on Thursday. “What we are witnessing today is threatening Europe as a whole with an explosion”, the premier said, noting that so far this year nearly 150,000 “illegal immigrants” have arrived in Hungary, “three and a half times as many as in 2014 and the year is still not over”. “Europe is no longer stifled by a ‘refugee issue’ or a ‘refugee situation’ but threatened by a modern-age migration whose reinforcements are unlimited from the European aspect,” he said. Orban noted that immigration is also a lucrative business which is exploited by dangerous and unscrupulous criminal gangs, which had earned on it nearly 16 billion euros and caused the death of 30,000 migrants since 2000. “What is happening in the high seas, on the roads and along our borders is inhumane, and what Europe is doing is madness,” he said. Orban put the blame on the EU for what he called an “inappropriate” immigration policy. “All European politicians who, holding out promises of a better life, encourage immigrants to leave everything behind and head for Europe risking their lives are irresponsible,” he said. 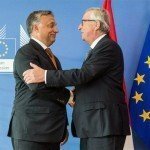 Orban warned Europe that it would be defeated in a “crucial struggle” if it fails to return to the “road of sober mind”. The prime minister said that priority should be given to the protection of external borders, and called the Schengen zone one of the greatest achievements of European integration. For central Europeans, he said, free movement within the zone is an “experience of freedom” and therefore “highly important”. 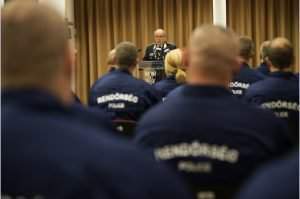 Failure to protect the borders, however, may endanger the Schengen regime, Orban said, calling it “rather depressing” that apart from Hungarians and Spaniards, “no one wants to protect Europe’s borders”. Europe “should understand that those who are invaded cannot take in anyone. And now there is an invasion,” he said. The prime minister said migration is “obviously also a question of democracy,” adding that “Europe cannot go against the will of the people” but right now the position of most European governments fails to reflect the will of the European people. The migrants “were brought up under a different religion, meaning that they represent a culture fundamentally different from ours,” the prime minister said, noting that most of the migrants are Muslim. 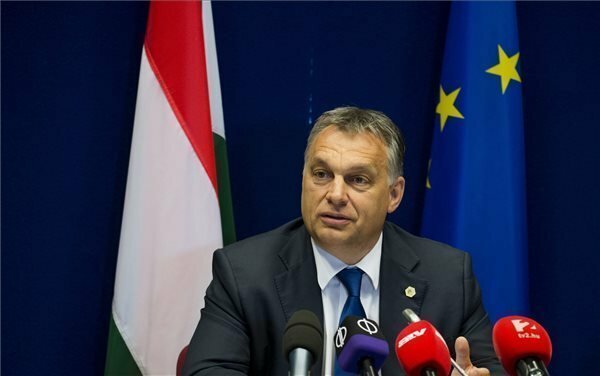 “This is important because Europe and being European has its roots in Christianity,” Orban added. “Or isn’t the mere fact that Europe’s Christian culture is barely capable of upholding is values on the continent troubling enough? 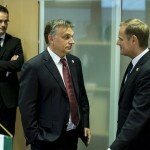 If we lose sight of this, our values may end up being in minority on our own continent,” Orban said.